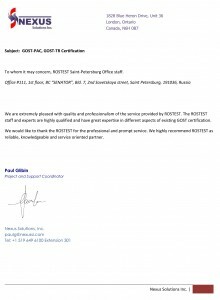 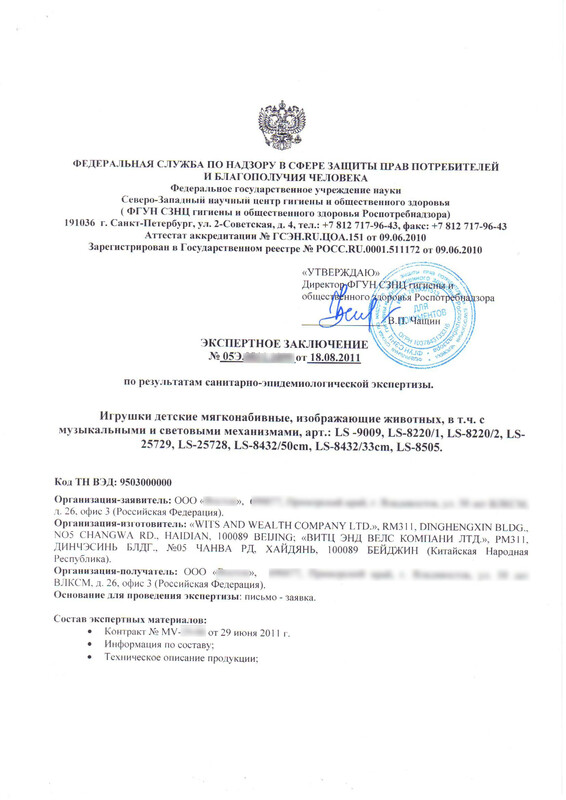 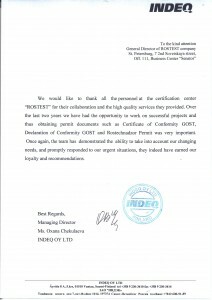 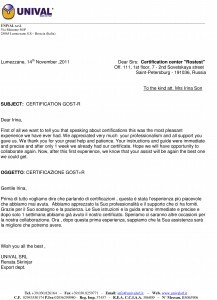 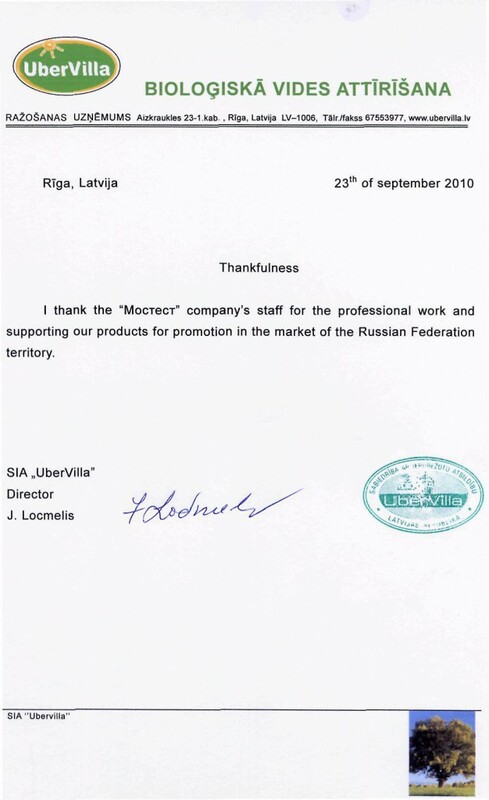 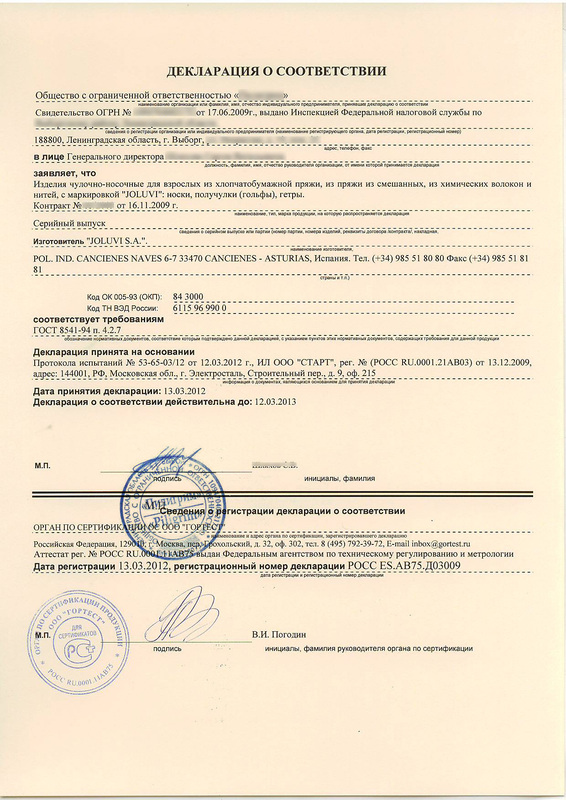 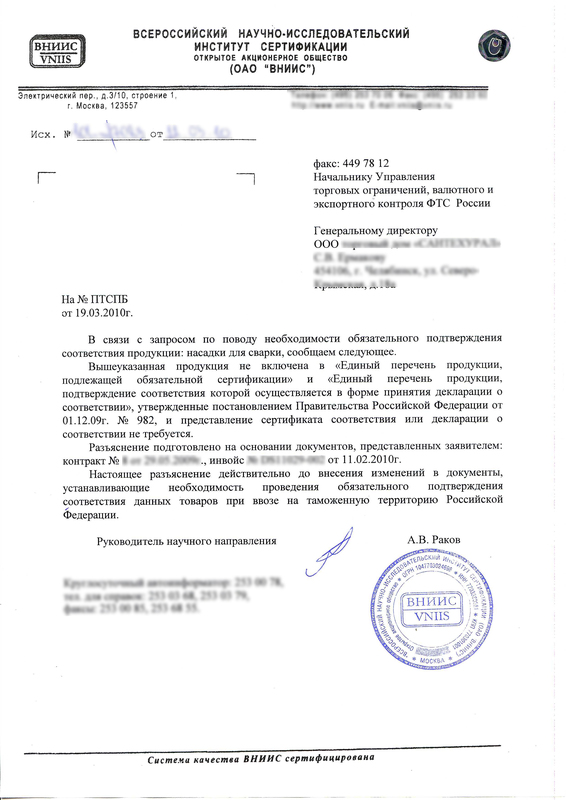 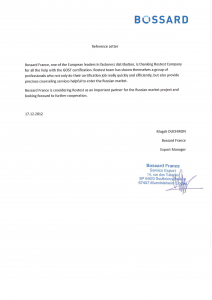 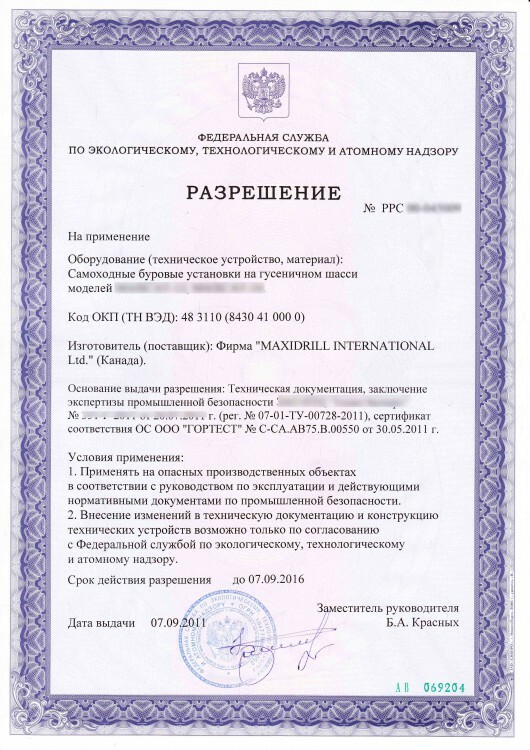 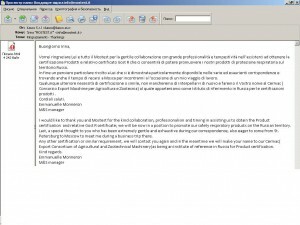 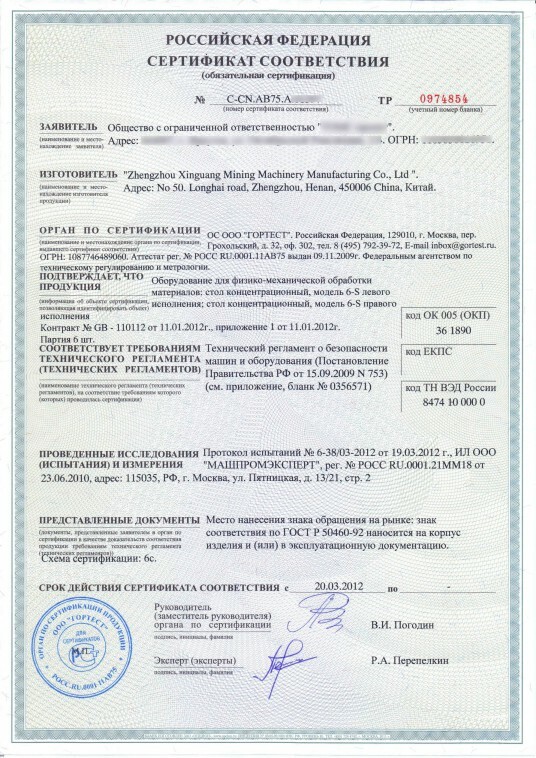 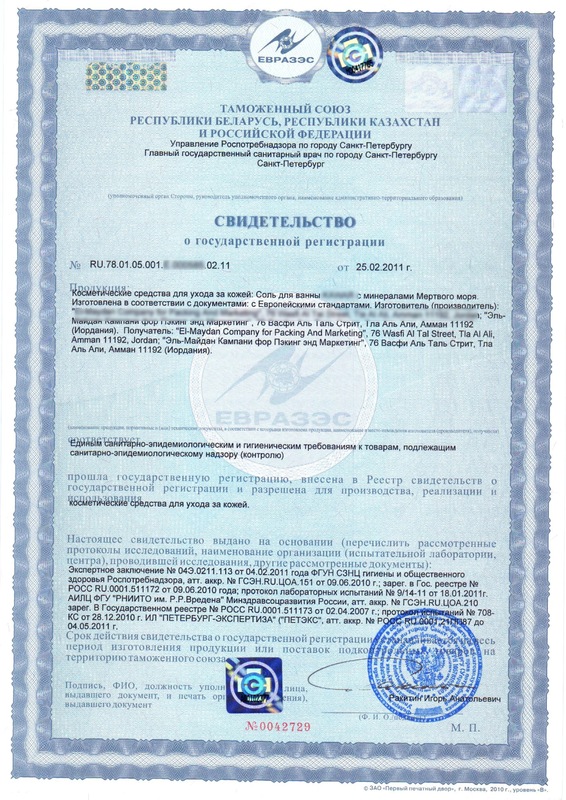 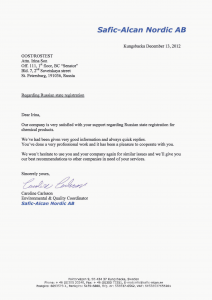 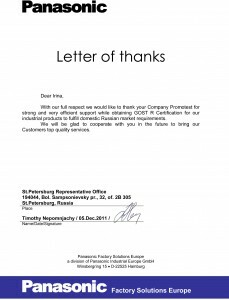 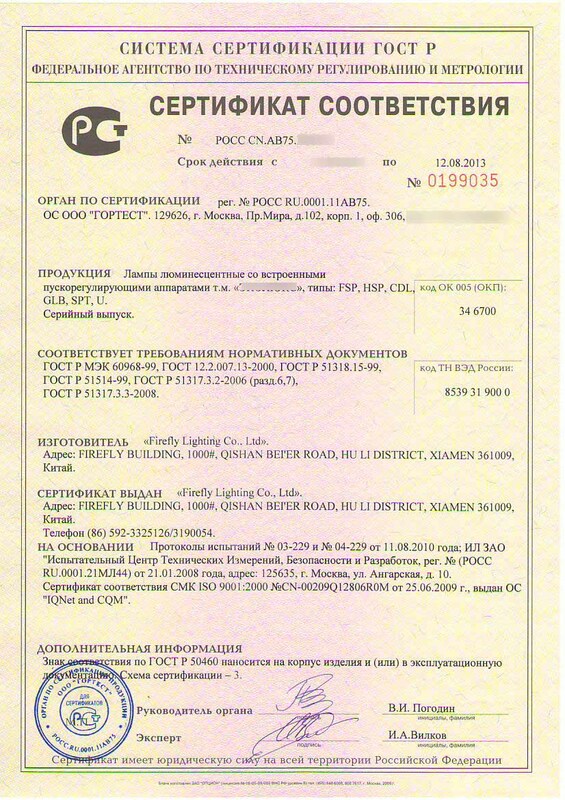 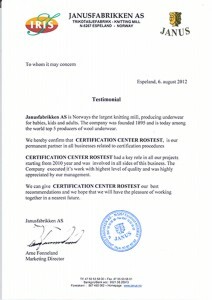 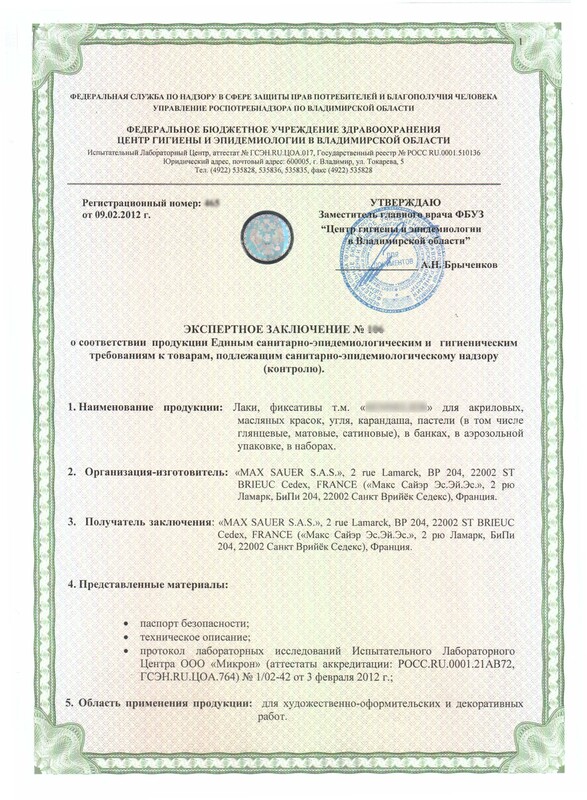 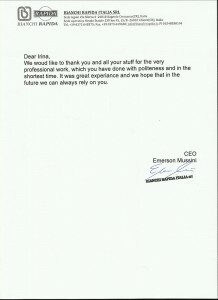 Dear Irina, I would like to thank you and your company team for assisting in obtaining certificates for Russian market. 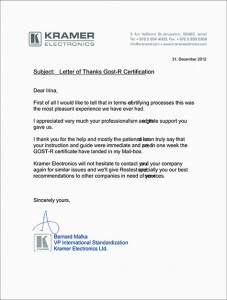 You provide us with actual information, clear guidance and professional help during all certification process. 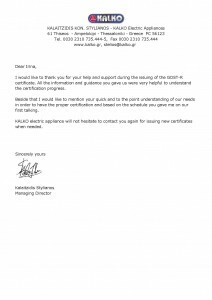 Vogl Deckensysteme GmbH develops and produces new systems and innovative products for dry interior construction including Vogl Acoustic Design Ceilings. 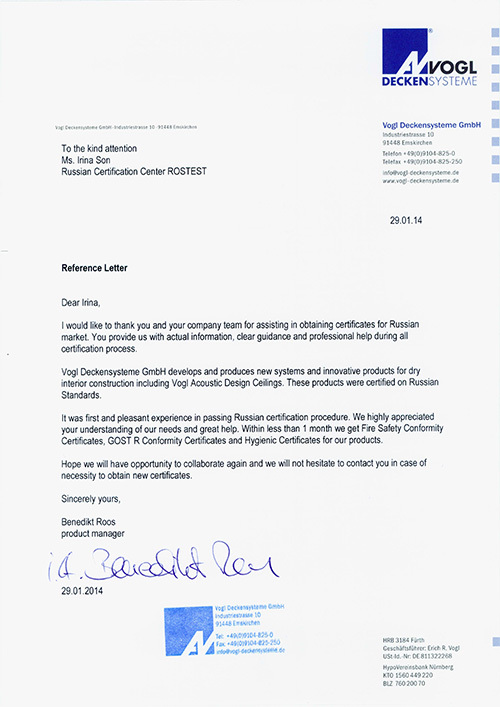 These products were certified on Russian Standards. 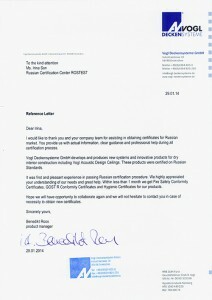 It was first and pleasant experience in passing Russian certification procedure. 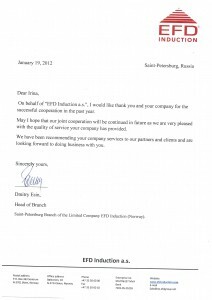 We highly appreciated your understanding of our needs and great help. 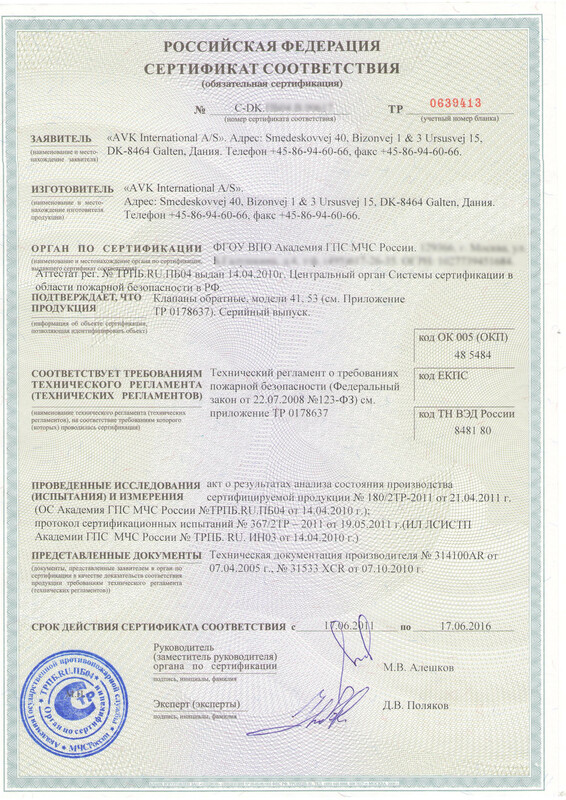 Within less than 1 month we get Fire Safety Conformity Certificates, GOST R Conformity Certificates and Hygienic Certificates for our products. 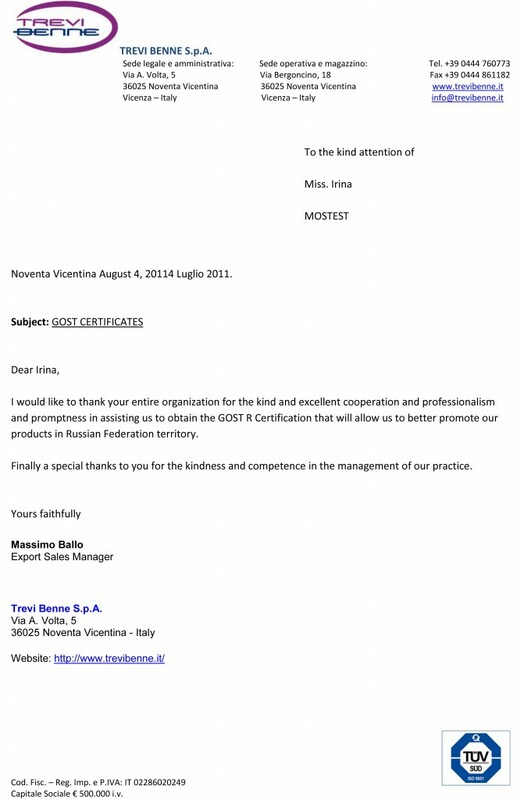 Hope we will have opportunity to collaborate again and we will not hesitate to contact you in case of necessity to obtain new certificates.